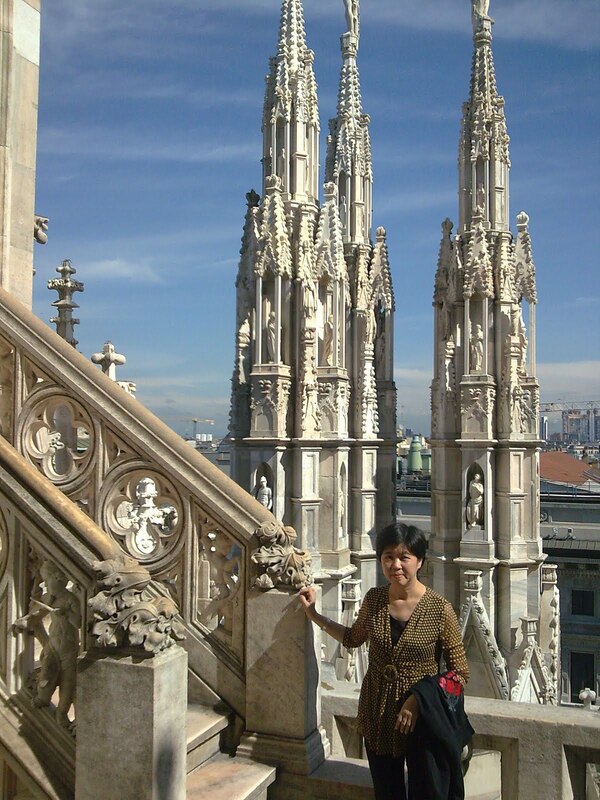 Milan was our last stop in Europe before we departed for home. Having read that Milan is Italy fashion capital, we thought it would be appropriate to end the trip in Milan where the girls can shop without worrying about carrying their stuff all the places we visited. But luckily they bought some in Paris, Florence and Venice. 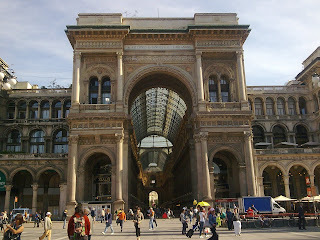 No doubt Milan is the place for fashion conscious people, but it's not really for budget conscious people! The bags and clothes are rather pricey here but we managed to find one outlet which sells designer labels at 50% discount or less, supposedly last season's fashion. We were not going for LV Gucci or Prada. I noticed that mostly Asian tourists would go for these items, especially Hongkong and Japanese people. There were many fashionable Italians especially in the shopping streets but I didn't see any of the standard evergreen LV or Gucci bags like those Singaporean and HK people like to show off. I suggest going for the value-for-money good quality leather Italian bags of other lesser known brands which cost a small faction of the so-called branded ones. But maybe other people think otherwise. 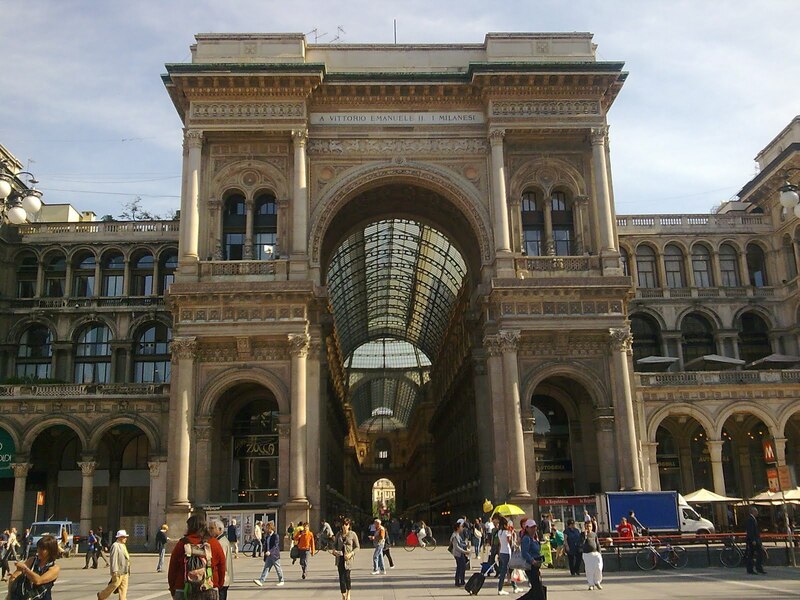 Anyway, a visit to Milan would not be complete without a visit to the Galleria Vittorio Emanuele, the oldest shopping mall in the world. 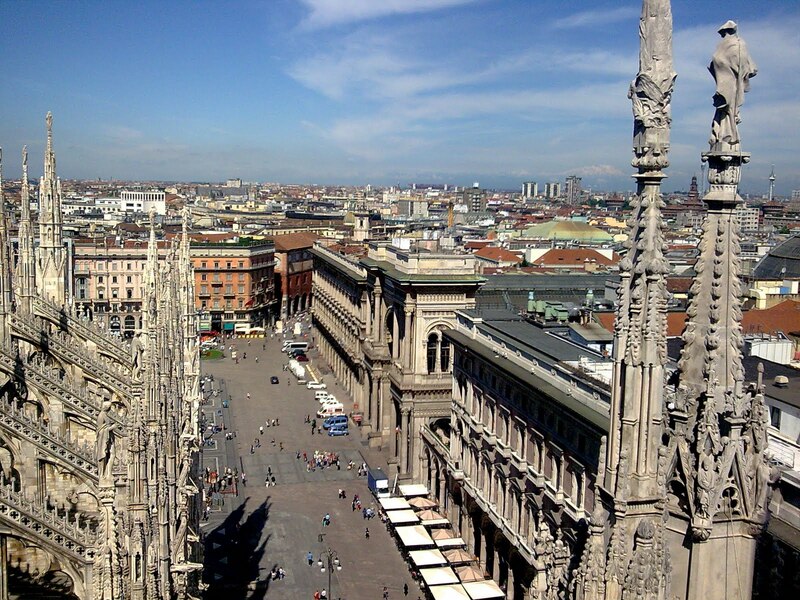 Right beside the Galleria Vittorio Emanuele is the Duomo, the main square in Milan which houses the cathedral which is famous for the hundreds of spires and thousands of statues on the roof and exterior of the building. 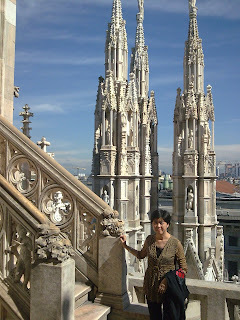 Once there, don't miss the chance to climb up the stairs for 5 euros (or pay 7 euros to take the lift) to see up close the magnificent statues and also the view of Milan. 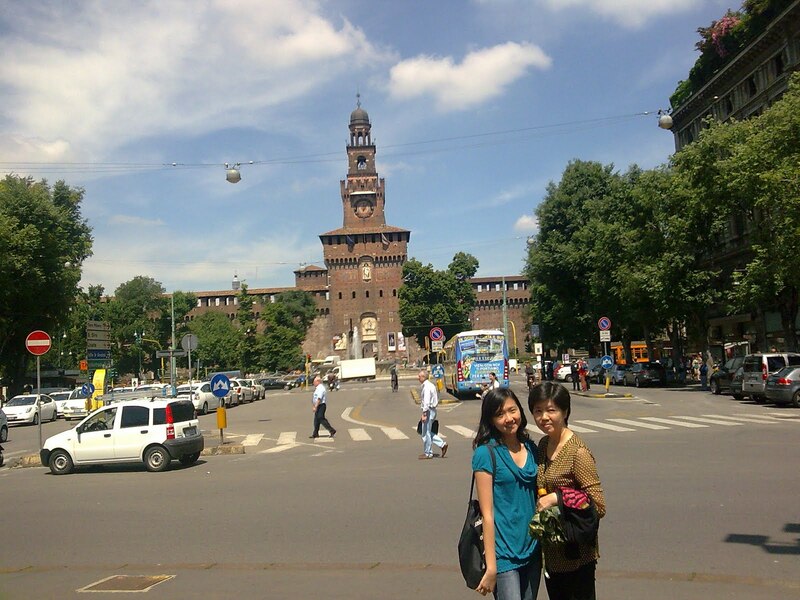 Another place is the Castello Sforzesco , a 15th century castle, which we passed but didn't go in because the girls were more keen on using the time to shop. 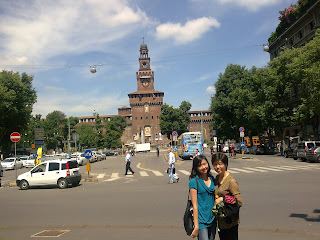 We wanted to see Leonardo da Vinci's "Last Supper" at the Santa Maria delle Grazie Church but couldn't get the tickets. To protect the painting only 25 persons can view each time and only for 15 mins. We didn't mind paying 6.50 euros for the tickets but they were all sold out for the day! 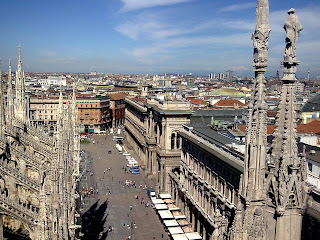 We stayed 2 nights in Milan at Hotel Bernina which is just a few mins from the train station. I like this hotel location...opposite the hotel there is a self service Italian restaurant..reasonable price and tasty food. The bus to the airport is also at the railway station. We even managed to get a special offer for the bus tickets...buy 2 get one free ! Getting to the airport was quite convenient from the hotel. The airport staff was surprisingly very friendly and helpful.